No one can usurp your style. 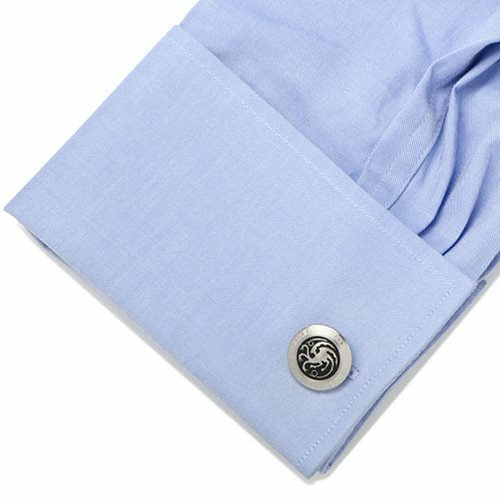 Stainless steel cufflinks featuring the 3-headed dragon sigil of House Targaryen! Also boast an etched Game of Thrones logo. Perfect for fans of the popular HBO series! 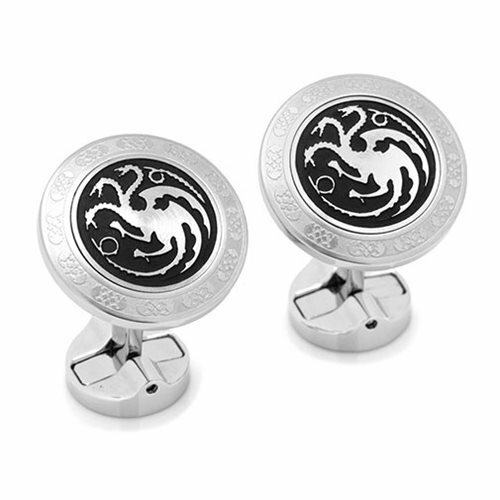 No one can usurp your style while you're wearing these stainless steel cufflinks featuring the raised three-headed dragon sigil of House Targaryen over a matte black enamel background. The swivel backing features an etched Game of Thrones logo. 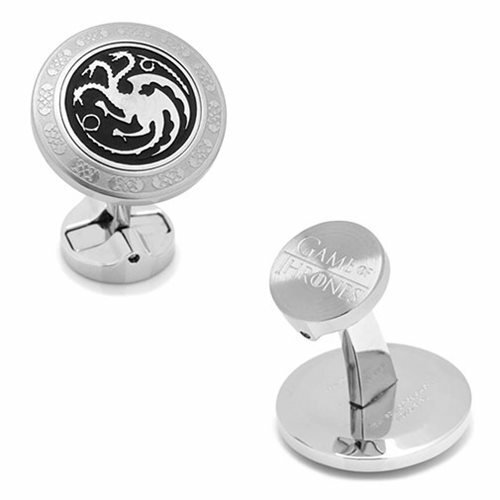 The 3/4-inch diameter Game of Thrones Targaryen Filigree Stainless Steel Cufflinks are perfect for fans of the popular HBO series!